Donate to the Folk Federation Fund, our tax deductible public fund, and help us promote the folk arts in NSW. Founded in 1970, we facilitate statewide development of the folk arts, dance and in particular folk music of all genres and ethnic diversity. 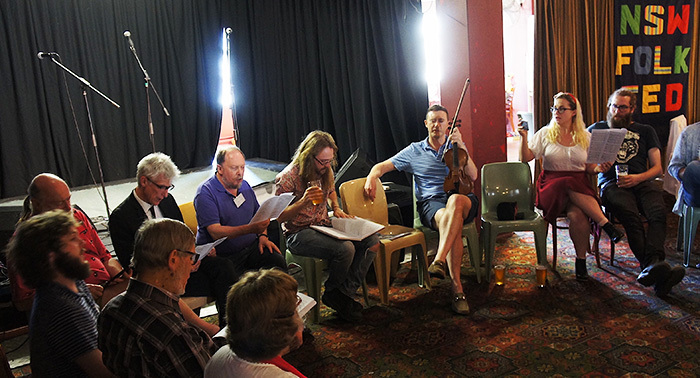 Through affiliated folk clubs, festivals, interstate bodies and our membership, we link those interested in presenting folk to the widest possible audience. Make sure you’re folk fed: join us! Congratulations to our first Young & Junior Folk Music Artist Awards recipients! All items on this website © The Folk Federation of NSW and/or its members. All rights reserved.